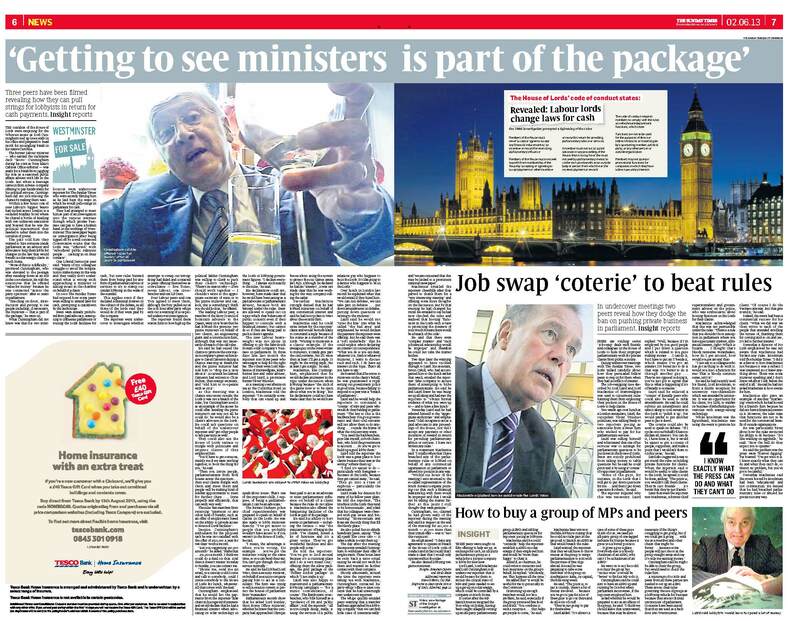 I’ve been working with the Insight investigations team at The Sunday Times for the last couple of weeks on an investigation into lobbying in the Houses of Parliament. 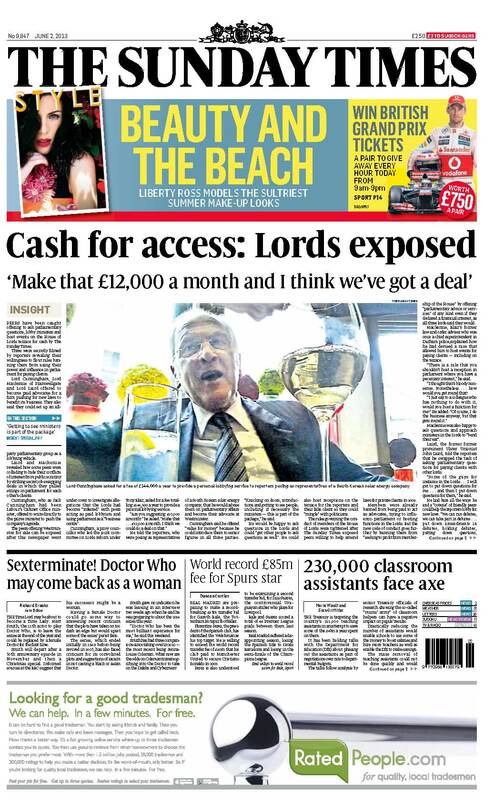 We made the splash on 2 June with this sting, in which three peers offered to become paid advocates for a firm pushing for new laws to benefit its business. They also offered to set up an all party parliamentary group as a lobbying vehicle. In undercover meetings the peers reveal how they dodge the ban on pushing private business in parliament. PDF versions can be found after the fold.